IS GOLDMAN SACHS PARTLY TO BLAME FOR GREECE’S DEBT CRISIS? | "Global Possibilities"
Home » World News » IS GOLDMAN SACHS PARTLY TO BLAME FOR GREECE’S DEBT CRISIS? EDITOR’S NOTE: We solicited a response from Nation contributor William D. Cohan to Robert B. Reich’s recent article, “How Goldman Sachs Profited From the Greek Debt Crisis,” which was posted on our website on July 16 and appeared in our August 3/10 print edition. Here is that response, followed by a rebuttal from Reich. Reich’s facts are wrong on so many different levels that he must again be called out for such obvious pandering. When I did this previously in DealB%k, Reich’s feeble rejoinder to me—also on Facebook—was that of course I was defending Goldman Sachs, because I used to work on Wall Street. While it is true that I worked as a Wall Street banker for 17 years, from 1987 to 2004, at which time I returned to journalism, only in a polarized early-21st-century America could relaying the actual facts of what Goldman and Greece did together in 2001 and 2002 be dismissed as a bias in favor of Wall Street. As anyone who has taken the time to read any of my three books about Wall Street or countless magazine articles or opinion columns knows all too well, I am more than happy, in fact eager, to criticize Wall Street for its seemingly unending self-interested and hugely detrimental behavior. I think we can stipulate that Wall Street’s culture is badly broken and in dire need of a makeover, before its prudential regulators impose such changes in ways that Wall Street will like even less. One good place to start would be by revamping Wall Street’s asynchronous compensation system, which rewards bankers, traders, and executives with big bonuses for taking risks with other people’s money without the slightest hint of accountability when things go wrong. Lord knows, I hate being put in the position of defending Goldman Sachs. But for the second time in two weeks, Reich leaves me little choice, if only because I cannot stand that people like Reich, or Elizabeth Warren—who should know better and still choose to be intentionally misleading—need to be corrected, over and over again. 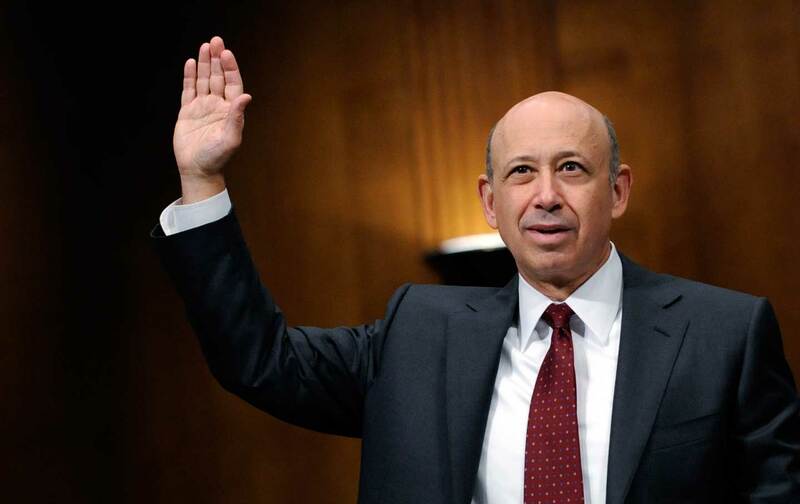 The truth is: First, Lloyd Blankfein had nothing to do with the currency swaps Goldman’s bankers in London constructed for Greece more than a decade ago. Second, Greece’s current financial woes were not “exacerbated” by Goldman Sachs. In 2001, Greece had a problem that it wanted help solving: Its debt as a percentage of its GDP was at a level above what would be acceptable to the people running the European Union. If Greece wanted to join the EU, it needed to show the EU that it could reduce its debt. Greece’s problem was that it wanted a legal way to reduce its dollar- and yen-denominated debt and show the EU that it was serious about debt reduction. In other words, Greece’s excessive leverage was already a big problem long before Goldman Sachs came along, which Reich tacitly acknowledges in his Nation piece, but not before he then blames Goldman for being Greece’s “biggest enabler.” It is simply not conceivable that a former labor secretary, Rhodes scholar, and current economics professor would not know the nature of a Wall Street bank’s relationship to its clients and counterparties. Greece had a problem it wanted to solve, and it turned to Goldman Sachs to solve it, just as millions of other clients and counterparties have turned to Goldman and other Wall Street firms to help solve a myriad of financial problems. Greece and Goldman agreed to a deal. No one was forced into the agreement, and to claim that somehow Goldman snookered the Greek finance minister is unfair and condescending. Would Reich ever think for a moment that Goldman Sachs could snooker him? Not likely. Is it the scorpion’s fault that it’s rigged to sting? No. But I’d still steer clear. This is a classic argument made by pandering politicians who somehow think that the losing side of every trade is a blameless victim, taken advantage of by an obviously cleverer opponent. Reich paints Goldman as immoral for what it did to Greece and these other municipalities. Goldman has made more than its share of mistakes over the years. But what Goldman and other Wall Street banks do has very little to do with morality. They are in the business of solving problems for their clients. Sometimes those relationships work out better for Wall Street than for their clients; sometimes it is just the opposite. Reich is wrong to blame Goldman for what happened to Greece. But it is worth remembering that Wall Street is not that much different than a scorpion. Is it the scorpion’s fault that it’s rigged to sting? No. But I’d still steer clear. Mr. Cohan’s complaint isn’t about the facts I recount, which have been checked and double-checked, but about my holding Goldman Sachs accountable for worsening Greece’s debt problem in the early 2000s. He concedes the deal Goldman did with Greece to secretly take debt off its public accounts ended up doubling that debt, while giving Goldman a “tremendously lopsided fee.” But Cohan argues that Goldman did nothing wrong because Greece agreed to the deal. Yet, as we all know, an agreement doesn’t make a contract morally justifiable. He then argues that “what Goldman and other Wall Street banks do has very little to do with morality.” That’s precisely the problem. Goldman and other big Wall Street banks have long records of leading clients into excessively risky deals that end up hurting the public—deals for which Goldman and the other banks should be held morally accountable. Oddly, Cohan seems to agree with me on this. He criticizes “Wall Street’s asynchronous compensation system, which rewards bankers, traders, and executives with big bonuses for taking risks with other people’s money without the slightest hint of accountability when things go wrong.” Exactly. William D. Cohan William D. Cohan, a former senior Wall Street investment banker and a contributing editor at Vanity Fair, is the author of The Price of Silence: The Duke Lacrosse Scandal, the Power of the Elite, and the Corruption of Our Great Universities. Robert B. Reich Robert B. Reich, a former secretary of labor, is the Chancellor’s Professor of Public Policy at the University of California, Berkeley and author of Beyond Outrage. His award-winning film, Inequality for All, is available on Netflix and other video-streaming services as well as on DVD.